Deb and I enjoy stopping for a meal at Wallace Station, a restaurant near our home, from time to time. We enjoy the food, and they do a nice job with gluten-free dining. 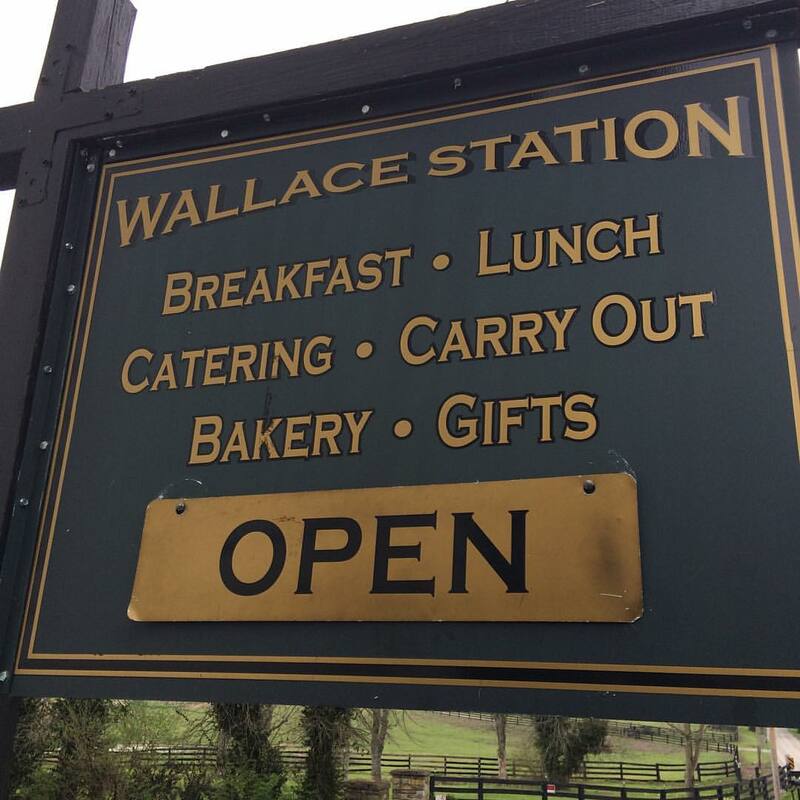 The quaint, rural setting contributes a lot to the Wallace Station experience. Located on Old Frankfort Pike near Midway Road in Woodford County, Kentucky, patrons can enjoy their meal inside, or when the weather permits, eat outside on the spacious deck. The restaurant is housed in an old general store building, built in the early part of the 20th century. The hardware on the front door reflects the age of the building. The door knob only operates in one direction. Which way do you turn it? That entirely depends which side of the door you’re on. Wallace Station helps you out. As you step onto the porch, a small sign over the knob reads, “Turn knob to the left.” Sure enough, give the knob a counter-clockwise twist, and the door opens to let you in. When you’re ready to leave, another small sign over the knob instructs you, “Turn knob to the right.” Turn the knob clockwise, and you’re free to go. The mechanism that moves the latch doesn’t change. It functions the same no matter whether you are entering or leaving. Because the latch doesn’t change, you have to use perspective to adjust your action. If you insist on always turning the knob to the right, you can’t get in. Keep turning the knob to the left, and you can’t get out. Whether you’re going in or coming out, sometimes we need to see things from the other side.